About the Northern Cheyenne: The Northern Cheyenne originally lived in the Great Lakes Region. During the 15th century, they migrated westward, shifting their subsistence living from fishing to agriculture. The original tribe split into two bands, and the Northern Cheyenne band moved to the Plains. History of the Reservation: The government attempted to force the Northern Cheyenne to merge with their traditional enemies the Crow, but eventually the U.S. gave the Northern Cheyenne their own reservation. An Executive Order in November of 1884 identified a tract of land west of the Tongue River in Southeastern Montana as the Northern Cheyenne Reservation. The reservation is bounded on the east by the Crow Reservation. 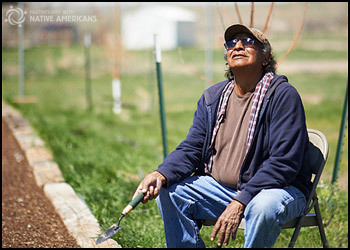 Life on the Reservation: The Northern Cheyenne economy is supported by farming, ranching and small businesses. The largest employers on the reservation are the federal government, tribal government, power companies and construction companies. The reservation hosts several small textile factories. Northern Cheyenne on the map: Southeastern Montana.